Solon township was established in April 1857 in the home of Walter Rowe. The 1860 Bureau of Census had the population listed as 393 residents. On May 17, 1865 – Edward Jewell, Supervisor – approved a total assessment roll of $57,215 and on May 2, 1872 the total taxes levied were $1,598.50. Fisk Knob, which is located on Algoma Ave between 21 Mile and 22 Mile Rd is 1,075 feet above sea level and is the highest point in Kent County. 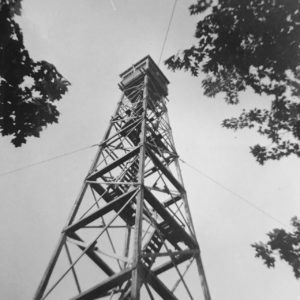 In 1936 a fire tower (110 feet high) was built and created a commanding view over Kent, Montcalm and Newaygo Counties. The Solon Township Fire Department started in August, 1952 with Andy Dauchy, Fire Chief and Norm Meyers, Assistant Fire Chief. There were 20 volunteers at that time. Their first fire truck was a 1928 LaFrance that the township purchased for $300.